Apple Inc.’s Tim Cook confirmed Wednesday that the latest iPhones, his flagship product, are not selling up to expectations. The news exposes his toughest challenge since taking over as chief executive officer from the legendary Steve Jobs: how to take the company forward when it’s top product has lost luster with consumers. Now comes the disclosure in a letter to investors that Apple sold fewer than anticipated new iPhones, and would cut its holiday quarter sales outlook by as much as $9 billion. Cook plans to address Apple staff about the situation on Thursday at an all-hands meeting where he will take questions from workers, according to a person familiar with the matter. The stock price has gained 194 percent since Cook took the top job, share buybacks have been strong, and annual revenue has more than doubled. The iPhone’s average sales price, revenue and unit sales have increased. That has allowed investors and analysts to mostly ignore the lack of new ground-breaking products like the iPhone across the Cook era and his delegation of product development to his staff. 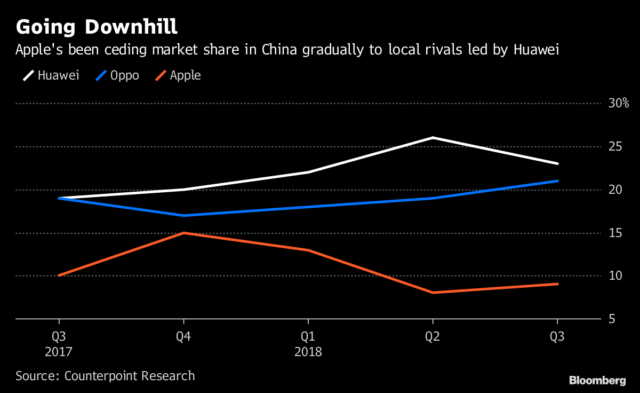 The disclosure of lower-than-anticipated iPhone sales due to an economic slowdown in China and fewer upgrades to new models by existing users calls into question Apple’s strategy of being so reliant on the device. The company’s shares fell as much as 8.5 percent in extended trading. Apple’s U.S. and Asia suppliers also declined. Apple needs to look beyond its core product. Smartphone sales have stagnated and are virtually unchanged worldwide the past two years. Under Cook, Apple has launched a few new types of products, including AirPods and Apple Watch. Both, however, are glued to the iPhone. 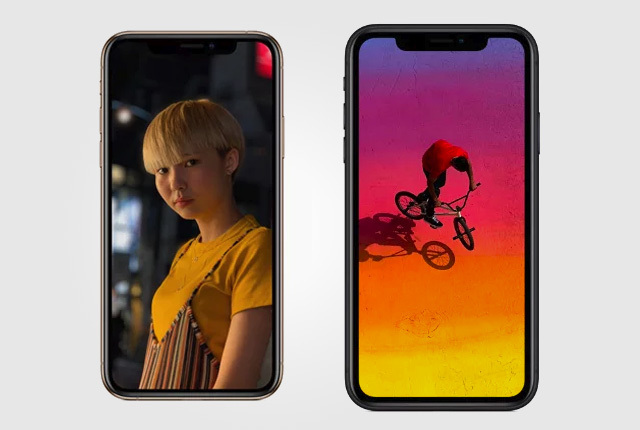 The company has talked about its services business as a significant new source of revenue — Cook said sales increased to $10.8 billion in the holiday quarter — but those are best used on an iPhone. Wholly new categories like self-driving car technology and augmented reality glasses still appear years away, while a major new iPhone for fifth-generation networks isn’t expected until 2020.